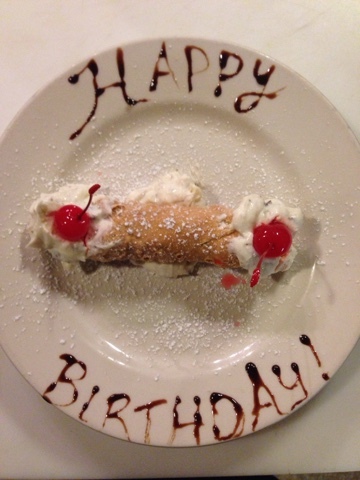 Romano's Restaurant: Is it your birthday? MY mouth getting watered. I must surprise my husband putting some cannoli on the table of his next birth day. Thanks for sharing.